Born in a cornfield to an unwed teenage mother, Dial grew up in rural Emelle, in Alabama's western flatlands. He began full-time farm work at age five and managed to attend school only rarely. On the eve of World War II, he was sent to live with relatives in Bessemer, just outside Birmingham. There, he married, raised a family, and worked for half a century in heavy industry, building highways, houses and ultimately boxcars during a thirty-year stint at the Pullman Standard Plant. Dial's life encompasses many of the most consequential episodes in twentieth-century African-American life - sharecropping in the Black Belt, migration from country to city, the upheaval of the civil rights era, and the ethnic conundrums of a rapidly changing postmodern America. As John Beardsley writes, "Dial's life is inseparable from history, because he had made it his business as an artist to be a historian. Dial lived history, then he represented it in paintings and sculptures". Thornton Dial: Viewpoint of the Foundry Man, catalogue, Andrew Edlin Gallery. Creation Story: Gee's Bend Quilts and the Art of Thornton Dial, Nashville: Frist Center for the Visual Arts and Vanderbilt University Press, Print. Thornton Dial: Thoughts on Paper. edited by Bernard L. Herman, Chapel Hill: Ackland Art Museum and University of North Carolina Press, Print. Hard Truths: The Art of Thornton Dial, catalogue, Prestel, Print. Outsider Art Sourcebook, Raw Vision, Print. Arnett, Paul, Joanne Cubbs, and Eugene W. Metcalf, Thornton Dial in the 21st Century, Tinwood Books, Print, 1 January. American Anthem: Masterworks from the American Folk Art Museum, catalogue, Print. Souls Grown Deep, Volumes 1 and 2, Arnett et al, Print, 2000 & 2001. Passionate Visions of the American South: Self Taught Artists from 1940 to the Present, New Orleans Museum of Art, Print. American Self-Taught, Maresca & Ricco, Print. Thornton Dial: Image of the Tiger, Baraka & McEvilly, Print. 20th Century American Folk, Self-Taught, and Outsider Art, Neal-Schuman Publishers, Print. Museum of Folk Art Encyclopedia of Twentieth-Century American Folk Art and Artists, Abbeville Press, Print. Kennedy, Randy, "For Met Museum, a Major Gift of Works by African-American Artists From the South," New York Times, November 24. Niland, Josh, "The Met Hit the Jackpot of African-American Art," artnet News, November 24. 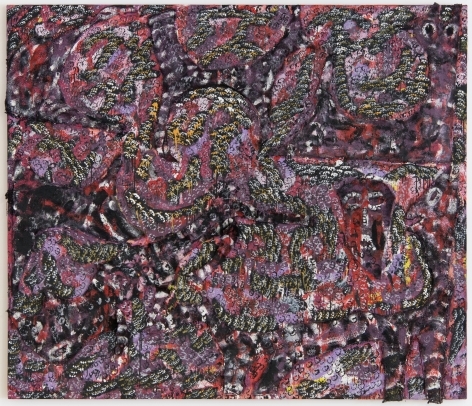 Sutton, Benjamin, "The Met Museum Nets Major Collection of Outsider Art from the South," Hyperallergic, November 24. Doran, Anne, "Review," Time Out New York, April. Gómez, Edward M, “On the Border,” Art & Antiques Magazine, February. Kino, Carol, “Letting His Life’s Work Do the Talking,” New York Times, February. Kuspit, Donald, "Review," Artforum, Summer. Lacayo, Richard, “Outside the Lines,” Time, March 14. "Review," New Yorker, April 11. Wilkin, Karen, “Biography, History, Self-Evident Beauty,” Wall Street Journal, April 21. Jones, Phillip March, “Thornton Dial, Sr,” White Hot Magazine, February. Giovanni, Nikki, Gary Miles Chassman, Walter Leonard, In the Spirit of Martin, (Tinwood Books). Smith, Dinitia, “Bits, Pieces and a Drive To Turn Them Into Art,” New York Times, February 5. 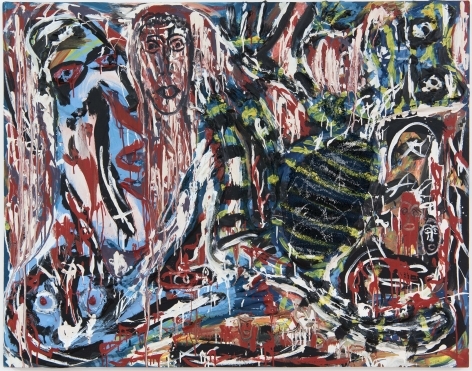 Lloyd, Ann Wilson, “Thornton Dial at Luise Ross,” Art in America, May. 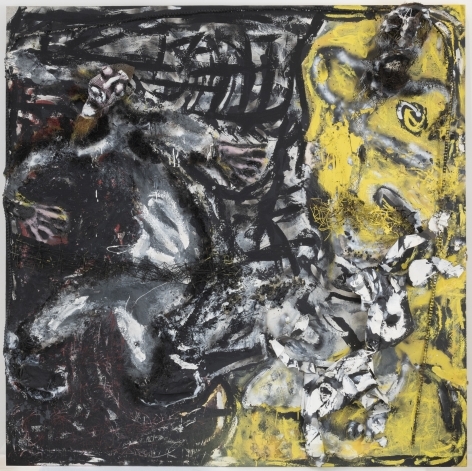 Scott, Sue, “Thornton Dial [exhibition review],” ARTnews 92, April. Smith, Roberta, “A Young Style for an Old Story,” New York Times, December 19. 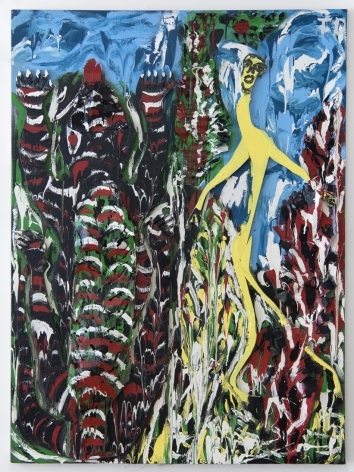 Kuspit, Donald, “The Appropriation of Marginal Art in the 1980s,” American Art, Winter/Spring. Kroll, Jack, “The Outsiders Are In: American Folk Artists Move into the World of Money and Fame,” Newsweek, December 2. From childhood on, Dial built "things" using whatever he could salvage, recycling even his own work to reuse materials in new creations. Dial referred to what he made only as "things," though late in life he found out that others call them "art." Having developed during the era of racial segregation, Dial's style is both personal and culturally rich, and it speaks with a resolute voice that was denied to him through the years as a black factory worker. In Dial's art, intense surfaces, multilayered narratives, shifting compositional relationships, and a metaphysical concern with issues of recycling and ancestry exist hand in hand with an ironic, earthy wit. His work exemplifies his almost religious determination to make art's complexities and mysteries central to the human understanding of reality.